Door To Dorm, owned and operated by Collegiate Storage and Rental, applauds universities for providing the best possible experiences to their students – including the experience of living on campus. Our team prides itself in assisting over twenty universities and colleges in the Northeast with that endeavor. Door To Dorm offers energy efficient refrigerator rentals as well as shipping and storage services directly to students. Fridge rentals, storage, and shipping. That’s about as straight-forward as we can be. But, what we really do is make students lives easier by providing them with the services they need. Collegiate also works with universities and colleges through our University Direct Program. To help enrich the residential life experience, we provide master refrigerator rental programs directly to colleges along with moving bin rental programs, dorm furniture installation, exhibition hall management, “Move In-Move Out” logistics, as well as many other university-specialized logistical services. We believe that just because students are living away from home, probably for the first time, does not mean that it should be a difficult experience. 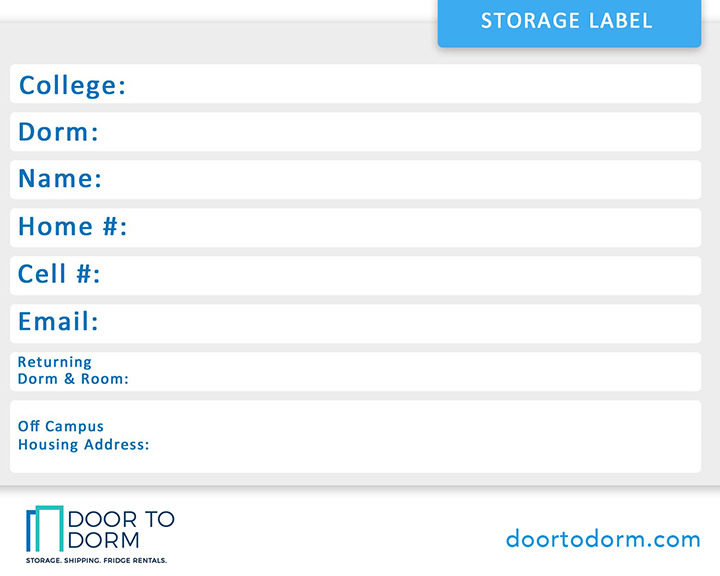 This is why Collegiate Storage and Rental has designed our services “door-to-dorm” to make students’ lives easier. For all refrigerator rentals, our delivery team brings the unit from our door to your dorm room. For shipping and storage, the boxes and all necessary packing supplies such as tape and labels are brought straight to your dorm room. All you have to do is pack—we do all the rest. We even come back to pick up the boxes for you. When you need items stored, everything is brought to our secure and centrally-located NY warehouse while all shipping is sent out to meet you at your own home. It’s like having family in town! We are a proud distributor of MicroChill® brand refrigeration products in the academic market, including the popular MicroChill® microwave/refrigerator combination appliance. Students need an inspiring environment to thrive. Door to Dorm makes dorm life easy. Have a question? Ready to start renting or shipping? We’re ready to help.